It's Official!!! We are now celebrating our 60th year as Spring Valley Animal Hospital! We are one of the very first Veterinary hospitals in Rockland County and are still going strong! Thank you for all your support! Dr. Burt would be very happy!! The original Dr. Saunders, Burton, passed away on April 6, 2016 after battling multiple illnesses. He will always be a part of Spring Valley Animal Hospital and will forever be in our hearts. Love you dad, forever and thanks for making my dream of also being a Veterinarian a reality! We have been redoing our older building to make a boarding facility that has doggy play areas, separate small dog and large dog areas and a private cat ward with cat condos. We are very excited about the continued renovations and hope you will be too!! 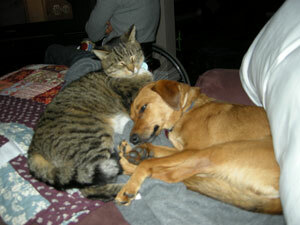 Important News Update Since Nov. 2011-CANINE INFLUENZA has been reported in Rockland County. The SECOND STRAIN OF INFLUENZA, which was discovered in Chicago the summer of 2015, is NOW, as of the Summer of 2018 IN BROOKLYN,MANHATTAN and KINGSTON! We have been vaccinating for BOTH STRAINS in the past year. If he/she is exposed to other dogs in doggy day care, dog parks or getting groomed, they should be vaccinated, along with Bordatella. Please take a few minutes to call our Veterinary office to make sure your dog is protected. 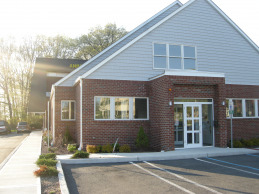 Welcome to Spring Valley Animal Hospital, one of Rockland County area's premier animal care facilities. We are a full service Veterinary Hospital and boarding facility providing the most up to date, professional and compassionate care that your pet can receive. Established in 1958 by Dr. Burton Saunders, SVAH continues today under the guidance of his daughter, Dr. Maureen Saunders. "Dr. Mo" graduated from Cornell University in 1987 and has since become well known for the enthusiastic and personalized care that she and her well trained staff provide to each of the clients. 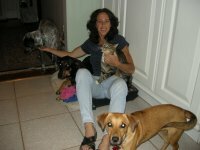 Dr. Mo is also owner of the Cat Care Clinic of the Nyacks! We are one of the longest running Veterinary hospitals in Rockland County Our regular customers particularly value our friendly, family type service. Even though our name is Spring Valley Animal Hospital, we are located in Monsey! Spring Valley Animal Hospital offers top notch medical, surgical and dental care as well as being on call for emergency Veterinary services. We strive to provide professional, affordable, and advanced veterinary services. There is an in-house pharmacy and clean, comfortable accomodations for boarding making it your one-stop shop for your pet's health and medical needs. At SVAH, you will walk into a newly renovated, welcoming, and friendly environment every visit, so that the experience is as comfortable as possible for you and your pet. Like us on FACEBOOK so you can post pictures of you and your pets to show off to everyone! Click Here! Remember, at Spring Valley Animal Hospital, your pets are our family!